Does anyone know what's going on with the Ruth Mine up in Homewood Canyon? I drove by a while back and it looked like the BLM had taken over the place or something. I didn't have time to get out and explore. I've heard that the tunnels are quite extensive. Anyone explore the tunnels? The BLM posted this page. It has a small amount of historic info and it mentions arsenic several times. Apparently the mine tailings contain elevated levels of arsenic. The word "arsenic" gets mentioned six times on the page. There is some concern that well water in the area could become contaminated due to runoff from the tailings piles. The historic Ruth Mine mill tailings were the result of a historic mining and milling activity in the Homewood Canyon Mining District, which was mined for its gold lode deposits during the early 1900’s to 1950’s time period. The Ruth Mill was constructed during the 1920s-1930’s period ’ with a rotary ball mill-cyanidation tank circuit. The mill tailings were produced by the rotary ball milling operations. Last year I went to Ruth mine and they had built an iron gate across the entrance. They did the same thing to the one next to Gold Bottom too. Searles Valley Story wrote: On January 7, 1941, the Ruth Mine School District was organized in Homewood Canyon from the Darwin District. They had 22 pupils and grades 1 through 8. In less than two yeas the gold mines were closed by government order. Then the few remaining children were taken to Trona School. At the end of ten years and the mines did not open, the Ruth Mine School District was dissolved and returned to the Darwin School District in 1951. Ten years later in 1961 they were annexed to the Trona School District. The book is called Searles Valley Story and the writing is a little rough as you can tell from a couple of those poorly constructed sentences, but the information is good! At the bottom of the page a guy who was born in 1944 tells about how his family was involved in the Ruth Mine. There's also info about other local mines on this page. 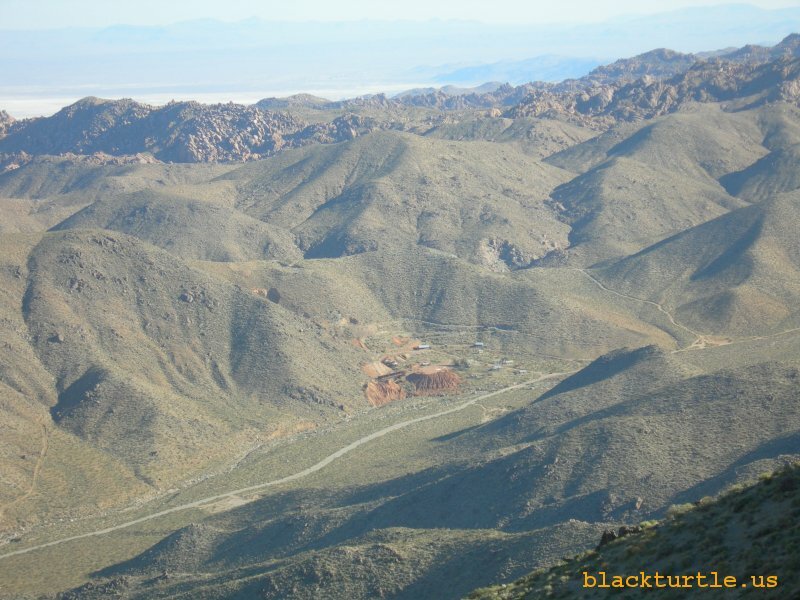 This mine is located about 12 miles northwest of Trona in Homewood Canyon at an elevation of 4000 feet. The mine operated from about 1899 to 1942. the ore was free gold associated with pyrite in iron stained quartz monazite. The mine produced over $500, 000 worth of ore. This page offers some good information about the history of the Ruth Mine. I found it interesting anyways. The Ruth Mine, originally called the Graham-Jones Mine, started production in 1899 under the direction of Doug Graham and S.S. (Smiley) Jones. Situated in the Argus Mountain Range, it is located 14 miles north of Trona in Homewood Canyon. Elevation of the mine is 3,530 feet. The ore is "free gold" associated with pyrite in iron-stained quartz and "stringers" in quartz monzonite. Some friends and I drove by the Ruth Mine fairly recently and it looked to me like a lot had changed, but we didn't stop and so I'm not sure what it was, but it just seemed really different from how I remembered it. 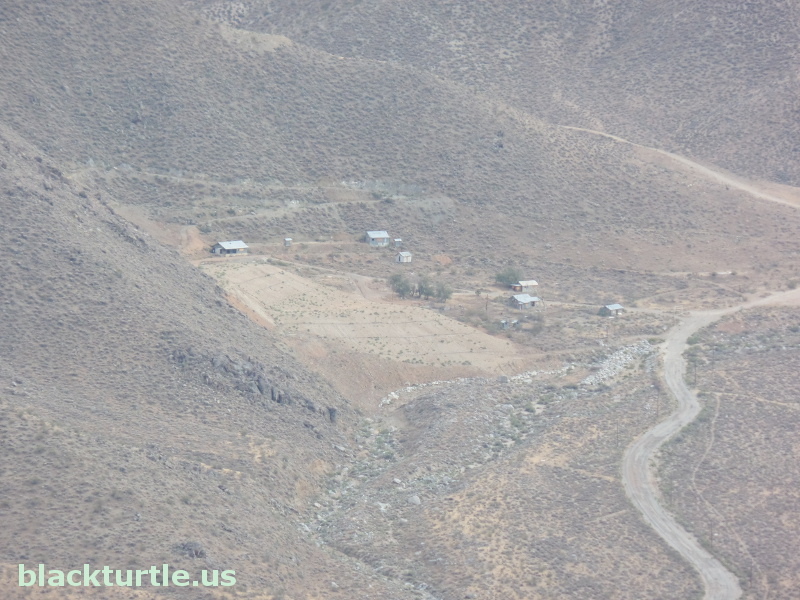 Did the BLM remove some of the buildings and grade the area? It just seems like there was something missing. twister wrote: Some friends and I drove by the Ruth Mine fairly recently and it looked to me like a lot had changed, but we didn't stop and so I'm not sure what it was, but it just seemed really different from how I remembered it. Did the BLM remove some of the buildings and grade the area? It just seems like there was something missing. James Sel: I think it was more than just a building burning down. I'm pretty sure that there was some dirt moved around. There used to be tailings piles as I recall. Just search both pages for "ruth" to see what blackturtle.us has.